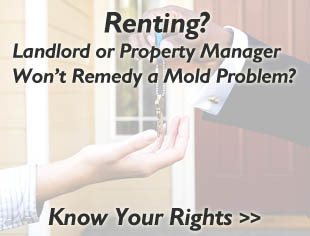 Are you renting and your landlord has ignored a serious mold problem? Did your builder cause property defects that led to a mold problem? Are you experiencing health issues after mold exposure that was caused by someone’s neglect? Consult with legal representation to know your rights and what courses of action are recommended. If you are in a situation where you believe your rights have been violated and you are owed restitution for the wrongs of a landlord, property manager, builder, homeowner’s association, or other party, it is recommended that you contact an attorney that specializes in real estate law with a focus on health and safety issues and warranty of habitability. It can be difficult to find an attorney that will not charge significant upfront fees to retain their services. 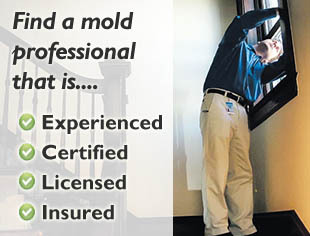 While this is the case when searching blindly through the phone book or across the internet, we have made the process a bit simpler by compiling a short list of mold attorneys that provide legal counsel in a more honest and reasonable manner. The attorneys listed on our website do not and cannot pay for their listing. They have been added after following a screening process to ensure that are a safe, reputable, and accredited entity. With that, we consider all individual attorneys or law firms listed here as recommended or referred.